On an average weekday, more than half a million riders will take CTA trains. You might not think twice about the “L” as you’re getting off to go to work, grab food, or because someone's eating an entire burrito next to you. But a train system that’s over a century old has some interesting facts worth digging into. 1. Is it the “L” or the “EL”? First things first, is it the “L,” the “El,” or the “el”? Not to burst your bubble, but the official name is “L” with quotes. 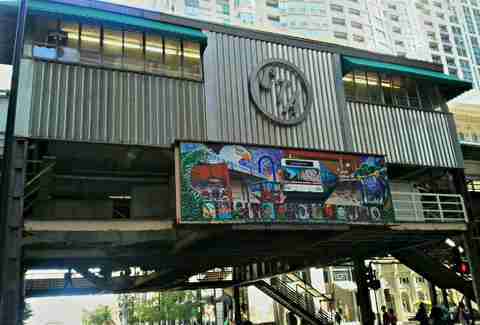 The popular “EL” moniker stuck as a shortened version of "elevated railroad," but “L” was used by previous companies, and is the one held by the CTA itself, which even tweeted about it to remove all concerns. Before the train system was turned into the public chartered Chicago Transit Authority in 1945, it was a collection of privately owned elevated “L” companies. The South Side “L” was the first to operate in 1892, and demand for expansion led to the development of the Lake Street “L,” the Metropolitan West Side “L,” the Union Loop, and the Northwestern “L.” The four companies would later be unified under the Chicago Elevated Railways Collateral Trust (CER), and then bought by the Chicago Rapid Transit Company (CRT) before the State of Illinois stepped in to create the CTA. 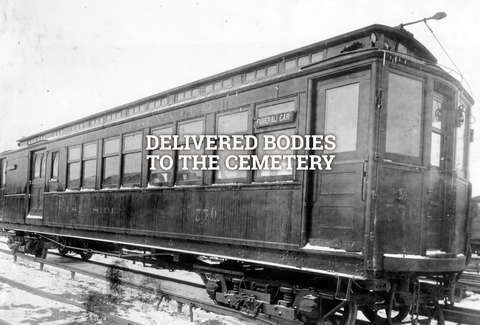 Elevated transit in its early days was a lucrative game, and the privately-owned Metropolitan West Side Elevated Railway (today’s Blue Line) wised up to the opportunity in the early 1900s by catering to the dead with funeral trains that stopped at select cemeteries. This practice died (!) down by the 1930s once roads became more accessible, but, the CTA’s General Manager of Customer Information, Graham Garfield, says based on the original clause in the Metropolitan Transit Authority Act, we could still, in theory, utilize this service. 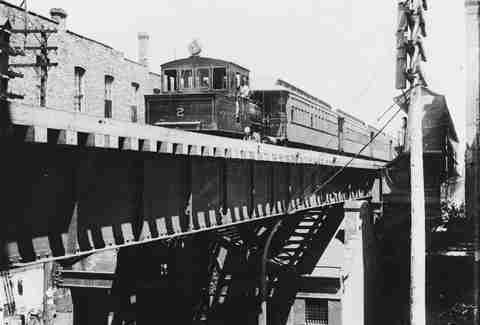 The first elevated rail -- the South Side “L” -- constructed its route through city-owned alleys to avoid the necessary permissions from citizens thereby earning itself the nickname “Alley L” and the ability to provide a straight line of service. It still operates today as the South Side Green Line. The subway system didn’t come about until the 1930s, and as a result of construction conditions, different methods had to be used, like hand-carving. According to Garfield, “Parts of the underground construction were not so stable, so workers had to hand-dig the tunnel with large knives to exhume out dense clay.” Since the tunnel was also under pressure, workers had to go in and out of pressure chambers throughout construction. 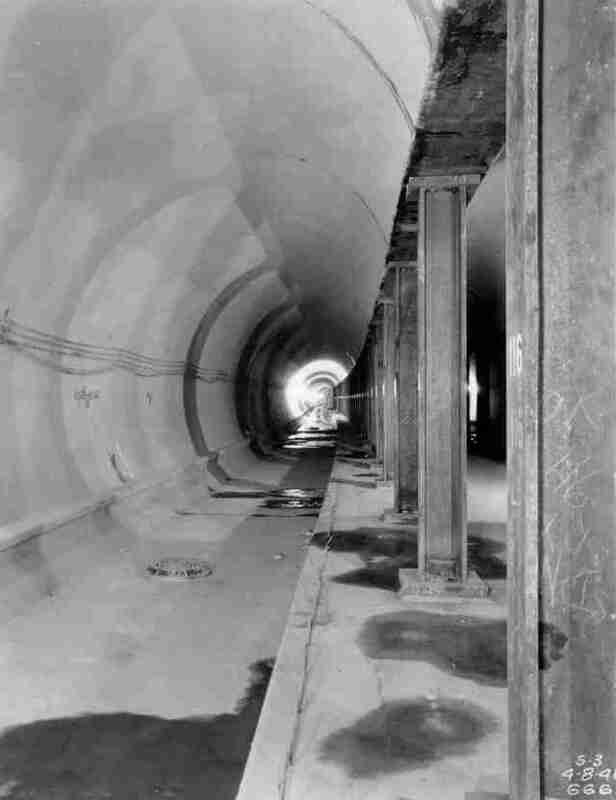 The State Street Red Line crosses under the river much closer to the surface than the Blue, so to complete construction, that section of the subway was prefabricated in a South Chicago shipyard then floated up the lake and sunk into the river. You’d think a project like this back in the '30s would suffer from some lack of urban planning and “Oh crap, there’s a wall,” but construction workers came across only mild building settlement and managed to deliver the project on schedule, according to Garfield. Since the original rail design was built on a radial model and not a neighborhood model, the railway as it stands isn’t the most convenient for traveling the city, especially express transit between the two airports. This was all supposed to be fixed by Mayor Daley’s “Superstation,” an estimated $250M project in 2005, but when the project fell apart, we were basically left with a Batcave that now sits underneath the Loop’s Block 37. “Doors open on the left.” If you frequent the “L,” you might hear that voice in your sleep (hopefully not while you’re on the train). His name is Lee Crooks, and he’s a local voiceover actor from Milwaukee who has been the voice of the “L” since 2000 when he won the job. This video of Crooks riding the train from DNAinfo may blow your mind a little. 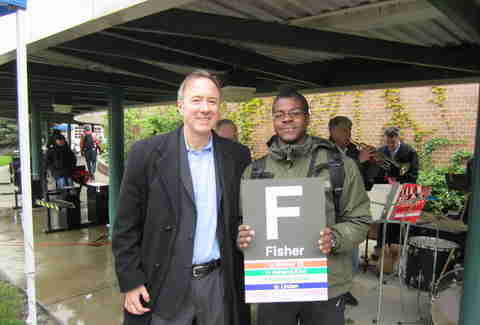 British transit racer Adham Fisher, inspired by the London Tube Challenge, came to Chicago and set a record of 143 stations under nine hours in 2011 and again stole the crown in 2012. Since then, others have joined to break his record as well. The premise: ride the complete Chicago “L,” hitting every single station in the fastest time possible. With 146 stations today, the crown is up for grabs, and John Greenfield, editor at Streetsblog, says it’s time for someone else to take the title. 10. Where did the colors come from? Why is the Red Line red or the Blue Line blue? Such deep thoughts, right? But we can thank mapmakers for the palette choice. Up until the mid-'90s, lines were previously known by name, i.e., the North-South Route (Red), the West-Northwest Route (Blue). 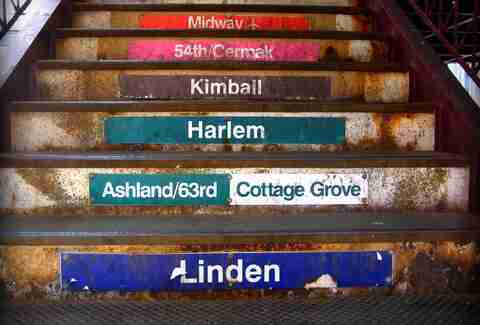 To make for easier transit, the CTA decided a color system would be better. When it came time for staff to choose the colors for the lines, the consensus fell to use colors already unofficially assigned to the routes via older printed materials and system maps, according to CTA spokesperson Catherine Hosinski, and blue and red were popular printing choices. No word on how the future colors of lines under the Transit Future project were chosen but, spoiler alert, it includes a Lime Line. More than 50 pieces of art are exhibited at over 40 CTA stations supported by the Arts in Transit Program, which is funded by the Federal Transit Administration and coordinated through the City of Chicago’s Department of Tourism and Culture. Of unique importance: the Western Brown station holds a part of the Berlin Wall given to the Chicago by the City of Berlin. Eureka College is the only other place in Illinois to hold a piece of this history. 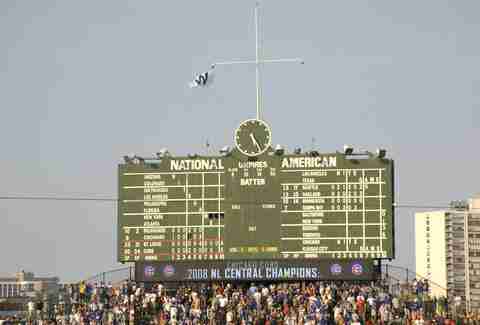 Not only was it the hashtag battle cry for the Cubs playoff run, but in the age before smartphones, the flag’s position on top of the scoreboard -- starting in the 1930s following the initial use of a green or red light on the top of the flagpole -- was used to signal the game’s results to passengers on the elevated track. We’ve all been there: on the Red Line streaming, tweeting, or aggressively swiping left, and suddenly, no service once you descend underground. If you’re a Blue’r, you already get full 4G coverage between the Logan Square and Belmont stops as part of the data upgrade plan, but by the end of this year, all tunnels should have full coverage. It’s a project that will finally put us over New York in innovation giving riders the “only seamless subway cellular systems in the world today,” according to Tim Ayers, Vice President of Global Services at ExteNet Systems, the network distributor on the project. To make it all happen, a specially designed and constructed tunnel construction train was brought out of a 10-year retirement to install cable on the tunnel walls. And while you may not think that the subway even had service to begin with, you might be shocked that it had 2G service installed in 2005. The “L” has had many cameos in Hollywood films, but 1995’s While You Were Sleeping might be its biggest role. To jog your memory, the plot revolves around a CTA worker (Sandra Bullock) saving her dream man (Peter Gallagher) from an oncoming train after he falls on the tracks. It was the first time the CTA had closed down a line for filming. The majority of scenes were filmed at Randolph/Wabash where the original booth still stands. Movie buffs, you only have a year left to go take a picture before construction of the new Washington/Wabash station, and who knows, you just might meet the person of your dreams. The red ball that used to open the doors or stop a train in an emergency is called "the cherry," and the fleet of cars is called the “Rolling Stock.” "Throw it into the big hole" is an order from a motorman to come to an emergency stop, and a “B.O.” stands for Bad Order car -- a railcar that has a mechanical or electrical defect -- not a car with a particularly stinky person on it, though they aren’t mutually exclusive. Brandy Gonsoulin is a food and beverage writer and co-founder of Daily Urbanista. Her work has also appeared in Gapers Block and the Chicago Tribune.